Rykarda Parasol (\reh-kaer-dah\), hails from San Francisco, but has seen the world. Like any traveling bard, she has stories to tell, using her dangerous, gender-bending vocals to weave tales of identity, experience and adventure. 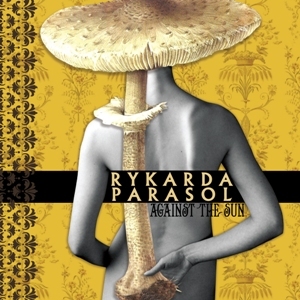 For a decade, Rykarda has been the captain of her own musical path, writing and producing three strong full-length albums; from lyrics to voice and instrumentation to creating her album art.Autonomy defines her work, which is an alchemy of; literature, culture, psychology, existentialism and human interaction. The songs leap out fully formed, controlled and knowing. Though born in America, her worldview is eclectic. The daughter of Israeli and Swedish immigrants, she grew up in a mixed-culture household. In recent years, when she's not in San Francisco, she's usually in Paris, France, studying and writing or performing throughout Poland and beyond. It is this continental experience which colors so many of her narratives. Equipped with a writer's sensibilities and a voice like a seasoned instrument, she often performs using an intimate sing-talk delivery. Rykarda describes her own dusky sound as "Rock Noir", which much like Film Noir, is stylishly dramatic, steeped in cynicism and sexual motivation with unpredictable shadows lurking around every corner. As with the departure of the flowers, so is a departure of tone and instrumentation. The voices themselves freely mushroom. Psychedelic at times, blissed-out, and transient. Much of these songs are retreating inward, detaching, introverting, and taking flight both physically and emotionally. And so, with this in mind, the figure turns back. It retreats, abandons and ignores. The autonomous traveler explores the world while growing in the dark.